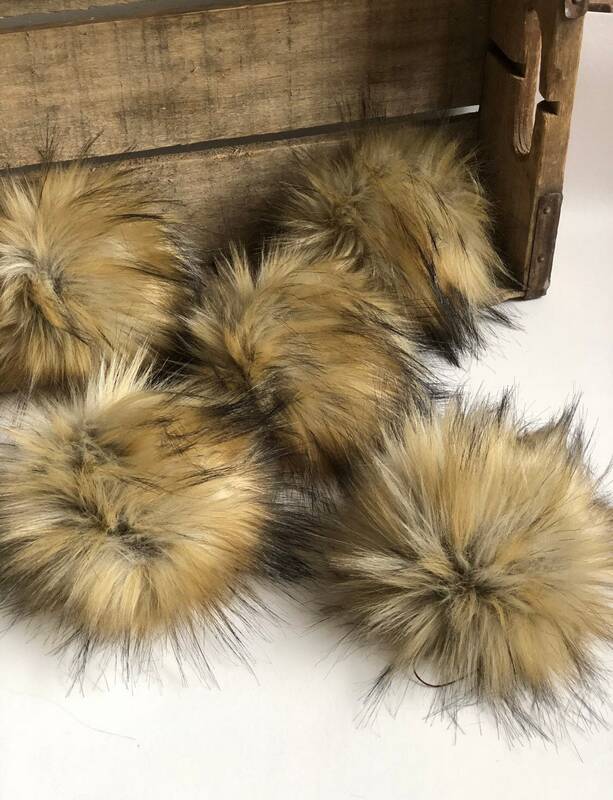 These are faux fur pom poms in a rainbow of colors, no two are alike. I really can't accomodate requests for specific colors but if you order more than 1 I will try to send a mix. They are handmade by me, lightly stuffed with polyester fiber fill and includes two long nylon strings for attaching to your project. This fabric is labeled dry clean only, I do not recommend machine washing or drying. If they need to be fluffed simply hold the strings close to the pom and shake vigorously or blow them out with a hair dryer. If you are in need of larger quantities please contact me for a custom order. This bag will be a gift and I couldn’t be more pleased. Lovely bag. No fuss transaction. Highly recommended. I’m so happy! The shipping was lightning fast and the poms are absolutely gorgeous and exactly what I was looking for. Will definitely be ordering more in the future! Thank you!